Is there a behaviour you are trying to change, but just don’t seem to be able to get traction on? I reckon it’s because we don’t invest the time needed to set ourselves up for success. But the good news is there is a virtuous cycle, which if followed enables us to finally embed new behaviour. Purpose – this means being clear on the answers to some important questions: Why do I want to do this? How is this reflective of the person I want to be? How much does finally nailing this matter to me? What are the consequences of not doing so? Plan – this is not simply about mapping out what you know you need to do. It’s doing so based on what you know about how you operate, and what has worked for you in the past. Prepare – we often miss this step as we rush to action but taking the time to assemble the resources we need including setting up support mechanisms is critical to success. 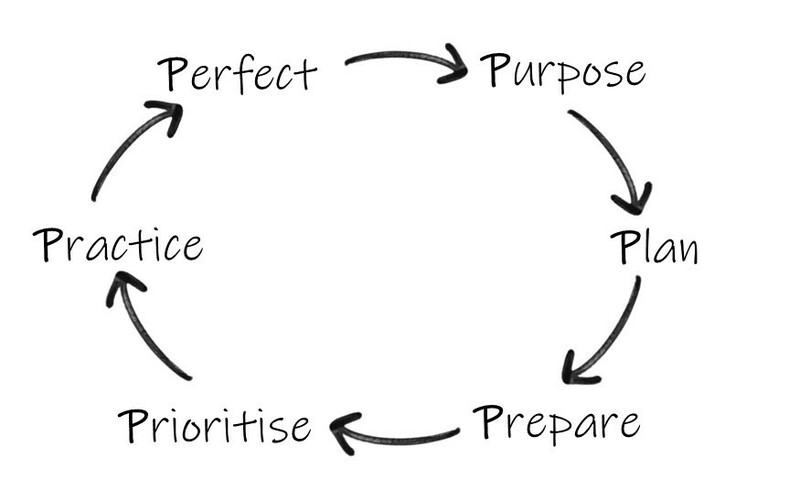 Prioritise – another step often ignored – if we want to change, we have to prioritise our focus. What mechanisms will you put in place to ensure your focus on this change stays top of mind? Practice – the now famous (and frequently misquoted) work by Anders Ericsson drew our attention to the need for deliberate practice. In this cycle, the most important aspect of this is being present when you are in the middle of things. Perfect – it's easy to misread this phase as striving for perfection, but what I’m talking about is perfecting by refining. Or put differently the fine art of tweaking! Which of course brings us back to your purpose for doing all this in the first place, and how committed you still are to make this change! Would you like to receive Anne's articles via email?